No matter whether you are a newbie in pet care business or have been around for years, brand promotion becomes the top priority. If you are looking for new ways to promote your pet care business on a shoestring budget—check out these ideas. Promotional handouts: Pet businesses often rely on word of mouth publicity and the logo imprinted custom pet care magnets will add pace to these conventional marketing. 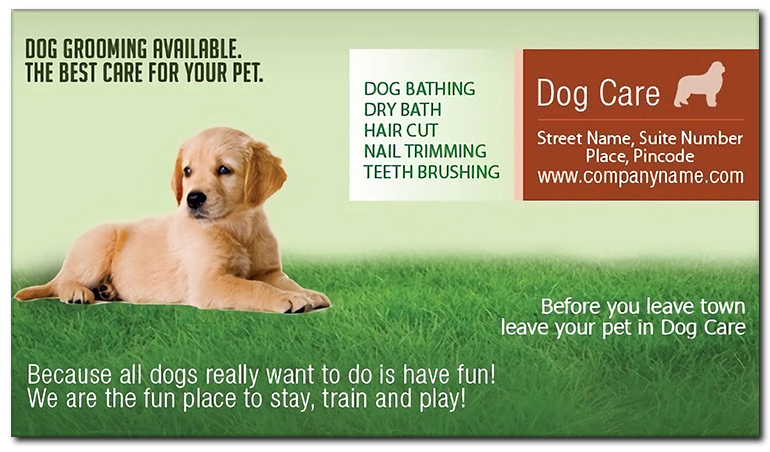 These low cost custom magnets make perfect promotional hand outs for tradeshows, events and pet store openings. You can give away these magnets as mass mailers, pet adoption month gifts, special offers and much more. Customer gifts: These magnets make perfect promotional gifts to get your message out in style to all types of customers from dog walkers to pet lovers and agencies that offer the services of guard dogs,. People often chuck out paper business cards and flyers and with these your business message too flies out! Custom magnets on the other hand are attractive and long lasting and the generous imprint area and the eye catching color choices of these will make them readily accepted by your discerning customers. As long as these magnets remain on the recipient’s refrigerator doors or filing cabinets your brand will enjoy a bold display. Pet charity service: While making a donation to the local pet charity service, hand out these custom magnets to them and ensure long lasting advertisement for your business and spread the word about your services to a new client base. Banter sessions: Pets are great icebreakers and make delightful topics of conversation for the proud pet owners at the dog park, the boarder or at the pet grooming shop. These pet care custom magnets make great business cards for you and will set off an interest among curious prospective clients. Pet owning households: Be on the lookout for signs of a pet-owning household in your neighborhood including pet fencing and distribute these magnets as part of your store’s milestone celebrations. These will instantly make your brand their trusted choice. Most people will love your business for being considerate towards their pets as nothing can be as unsettling for them than their pet in pain. These custom magnets that carry all the essential information including health care tips, special events like pet sitters week, winter weather precautions will make pet care as easy as never before for them. Photo Frame Pets Clinic Magnets are wonderful options to consider in this regard. Get the most for your business-card buck by using these custom magnets as discount coupons for repeat customers. You can even imprint client testimonials or your areas of operation on these magnets to enhance your business loyalty. Local pet food shops: Custom pet care magnets can be given out at the local retail pet food outlets to make local business. People who have pets will come to these shops regularly for pet food and other supplies and these custom magnets with pet care information will surely grab their attention. Leave these magnets on their cabinets or metal shelves inside the store to make them visible for everyone. From the ever popular square magnets to the delightful paw shaped magnets and those shaped like teddy bear or dogs, there is a lot of options to consider. If you thought your low promotional budget is taking off the sheen from your brand building exercise you will surely find these tips worth trying out!